Sony’s top executive vowed to finish reforming its troubled electronics business by next April, saying the company has no choice if it wants to return to growth. “If we cannot execute all the things we need to get done this fiscal year and generate real results, it will be all but impossible to envision a growth strategy for the mid- to long term,” CEO Kazuo Hirai said at a corporate strategy meeting on Thursday. The urgency comes after miserable results for the year to March 31, 2014, for which Sony posted a net loss of ¥128.4 billion (US$1.25 billion). The performance was attributed to costs related to exiting the PC business and impairment charges related to its overseas disc manufacturing. The electronics giant has forecast a loss of ¥50 billion for the year to next April, its second round of red ink since a profit was logged in 2013, the first in many years. However, it believes the reforms will lead to an operating profit of more than ¥400 billion for the year to April 2016, about three times the ¥140 billion operating profit envisioned for the current fiscal year. 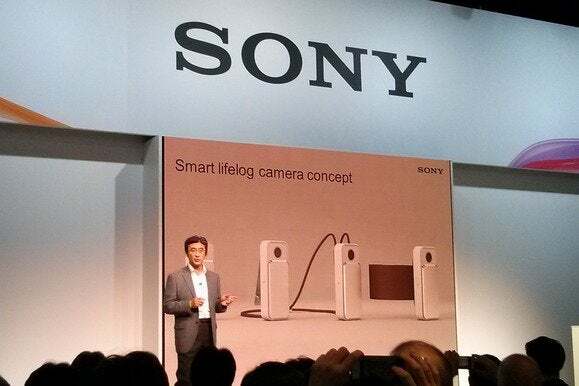 Aside from the PC exit, the electronics reforms include splitting out the long-struggling TV business, which Hirai says will turn a profit by April under a new company called Sony Visual Products. It will also cut costs by 20 to 30 percent at its headquarters, support functions and sales companies. The reforms are expected to generate annual cost savings of over ¥100 billion starting in April 2015. And while Sony’s entertainment, insurance and banking businesses have supported the manufacturer as it struggles with reforms, Hirai emphasized the central role of electronics in his bid to revive its fortunes.